Robert Merrill Lee was born on 13 April 1909 in Hinsdale, NH. He was educated in the public schools in Augusta, ME, and graduated from the U.S. Military Academy in June 1931. After attending Air Corps Flying Schools at Randolph and Kelly Fields in Texas, Lee received his pilot wings in October 1932. He was assigned to the 55th Pursuit Squadron of the 20th Pursuit Group at Barksdale Field, LA. While at Barksdale he performed pilot and other squadron officer duties. When U.S. Airmail contracts were canceled by the president in early 1934, Lieutenant Lee joined other officers in his group flying the airmail in the central zone. In May 1937 he was assigned to the First Cavalry (Mechanized) at Fort Knox, KY. In addition to participating in intensive training as a junior officer in Troop "C," First Mechanized Cavalry Regiment, Lee commanded several detachments, guarding the shipments of gold that were being shipped from various mints in the U.S. to the Fort Knox Gold Repository. The following year he returned to the U.S. Army Air Corps and was assigned to the 12th Observation Squadron based at Godman Field, also at Fort Knox. During 1938-40 he was Aide-de-Camp to General Adna R. Chaffee, Jr., the "father" of the Armored Force. At this point in his career he assisted in the development of operations teamwork between air and ground forces. In 1940, Captain Lee attended the Air Corps Tactical School at Maxwell Field, AL. During 1940-41 he Commanded the 12th Observation Squadron. In late 1941, Major Lee became Chief of Corps Aviation, Headquarters I Armored Corps and was later the Air Officer for Armored Force Headquarters. In 1942, Lieutenant Colonel Lee organized and commanded the newly activated 73rd Observation Group at Godman Field. It later became the 10th Recce Group and Wing and was assigned to Allied Command Europe, NATO and based in England. In January 1943, he was promoted to Colonel and became Chief of Staff of the First Air Support Command at Morris Field, NC. He continued in this position through successive reorganizations and re-designations of this Command as I Tactical Air Division and the Third Tactical Air Command. 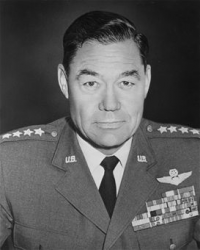 In August 1944, Lee joined the Ninth Air Forces in France where he served as Deputy Commander for Operations under Lieutenant General Hoyt S. Vandenberg and shared responsibility for the defeat of Germany in four major campaigns: Northern France; the Rhineland; the Ardennes; and Central Europe. He was promoted to Brigadier General in January 1945. When the Ninth Air Force took up its occupation role at the end of hostilities, he served as Chief of Staff. In late 1945, Lee was assigned to the Air Section of the Theater General Board at Bad Nauheim, as it completed its analyses and reports on the European campaigns. In January 1946 Lee returned to the U.S. In April, he became the first Chief of Staff of the newly organized Tactical Air Command at Langley Field, VA, where he remained until August 1946. He then entered the first class of the National War College and, after graduation, he was assigned to Tactical Air Command as Deputy Commanding General in July 1947. During this assignment, he was promoted to Major General in February 1948. He served as Commanding General from November 1948 to July 1950. From Langley Air Force Base, Lee went to Eglin Air Force Base, FL, and assumed command of Air Task Group 3.4, a special assignment to Operation Greenhouse that culminated in the atomic test at Eniwetok during the spring of 1951. When this assignment was completed in July 1951, Lee was named the Deputy Director of Plans under the Deputy Chief of Staff for Operations, Headquarters U.S. Air Force in Washington, with concurrent duty as the Air Force member of the Joint Strategic Plans Committee. Shortly thereafter he became the Director of Plans. In November 1953, was assigned to Command the Fourth Allied Tactical Air Force and the Twelfth U.S. Air Force in Europe. The former constituted the largest tactical air forces in Allied Command Europe, consisting of all U.S., French and Canadian air forces on the continent of Europe committed to the Supreme Allied Commander. In June 1956, command of the two air forces was separated and Lee retained command of the Allied Tactical Air Force. When he returned to the U.S. in July 1957, he became Commander of the Ninth Air Force, Tactical Air Command, with Headquarters at Shaw Air Force Base, SC. On 15 July 1958, Lee was promoted to Lieutenant General and arrived at United Nations Command headquarters, Seoul, Korea, to become Chief of Staff, United Nations Command and U.S. Forces, Korea. In September 1959 he returned to the U.S. to become Vice Commander of the Air Defense Command in Colorado Springs, CO; he became Commander in March 1961. 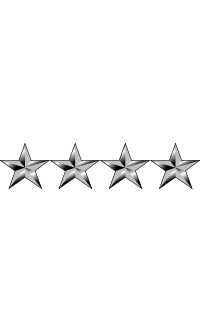 He was promoted to the four-star rank of General on 4 June 1963 and became Air Deputy to the Supreme Allied Commander, Europe, on 1 August 1963. Lee retired from the Air Force in 1966 as a Command Pilot with more than 9,000 hours flying time. General Robert Merrill Lee died on 29 June 2003. He is buried at the United States Air Force Academy Cemetery in Colorado Springs, CO.